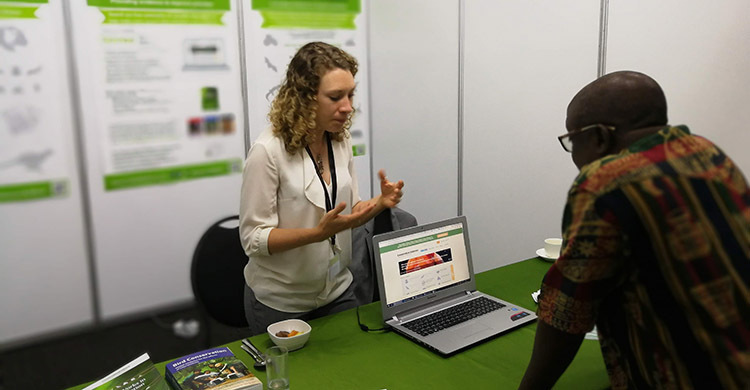 Durban, South Africa, 5 December 2018 - You may have seen the University of Cambridge/Conservation Evidence stand at AEWA MOP 7 – if you haven’t, do head along and find out more. Conservation Evidence is a project gathering the scientific evidence for how well conservation actions work, from reducing seabird bycatch to legal protection of species and habitats. They are collecting information on the effectiveness of ways to save all species and all habitats everywhere in the world; they estimate that they are about two-thirds of the way there, having already gathered over 5,000 studies. Ways to conserve birds were covered in 2013 with over 1,200 studies documenting 322 actions, and an update is underway (due 2019/2020) to add 600 new studies. Best of all, all the information is available for free in a user-friendly online format. Conservation Evidence also has an open-access journal where tests of conservation actions can be published. Conservation Evidence and AEWA have partnered for some time, with a page explaining Conservation Evidence on the AEWA website, every AEWA species page linking to the relevant search results from Conservation Evidence, and indicator 3.4 in the AEWA Strategic Plan 2009-2017 being 50 best practices collated and published at www.conservationevidence.com. This partnership can be expanded by Parties to the Agreeement using Conservation Evidence when they are choosing potential conservation actions; checking the evidence makes it more likely that the most effective conservation actions will be chosen.